Time seriously flew by photographing these two adorable people. We headed to the beach at South Pointe Park for their engagement session. They were so easy to work with and I loved how comfortable they were together. The light was pretty spectacular too, showing off with orange hues and glossy reflections in the water. We’re in love with the photos. I wasn’t expecting such a quick turn around either, so thank you for that pleasant surprise, too. It was awesome working with you! Speaking from the aspect of our first shoot as a couple- You made what could have been an “awkward” shoot, into a fun and enjoyable one. We couldn’t be happier about our experience. Wishing these two lots of love, joy and adventure together. You can see all the photos taken at South Pointe Park. 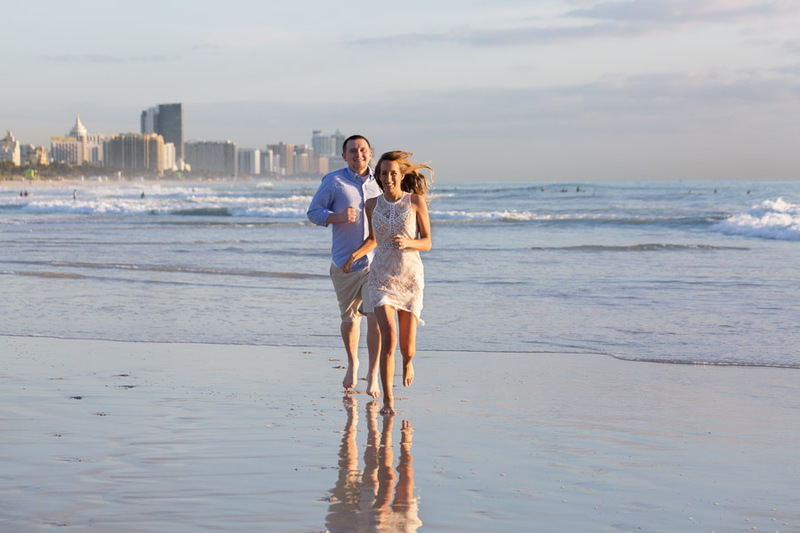 Check out the Miami engagement photo sessions on the blog as well. Take a look at this Pinterest board for ideas on what to wear to a couple or engagement session. 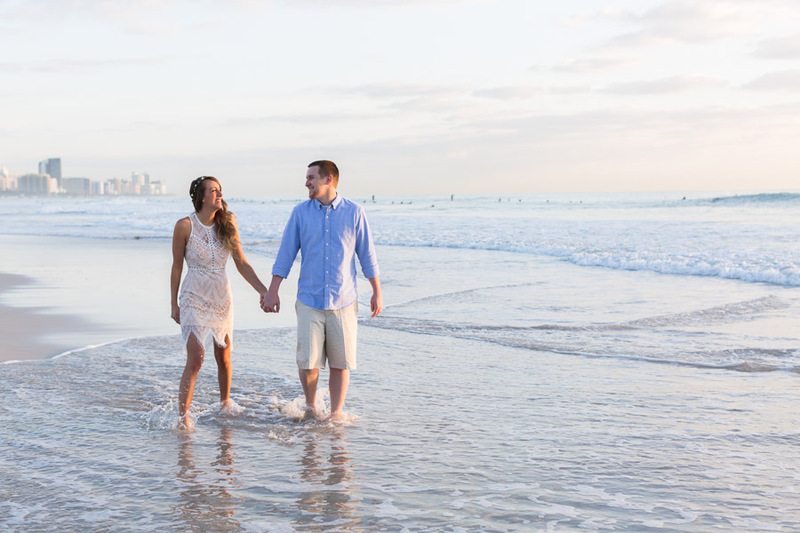 This entry was posted in Couples and tagged Couples, engagement, Miami Beach, Miami Engagement Photographer, miami sunrise, South Pointe Park on May 1, 2018 by Tova Photography.